Anglecia Pro is a sans serif typeface created by Andriy Konstantynov and published by Mint Type. This finely detailed font includes three variants which use a common structure but have a different key dimension and contrast, meant to ingeniously combine in editorial design. Anglecia Pro Text is especially created to favour legibility for average reading sizes. Even if it is characterized by relatively classical straight lines, the well-adjusted ups and downs of ascenders and descenders add a touch of the modern. 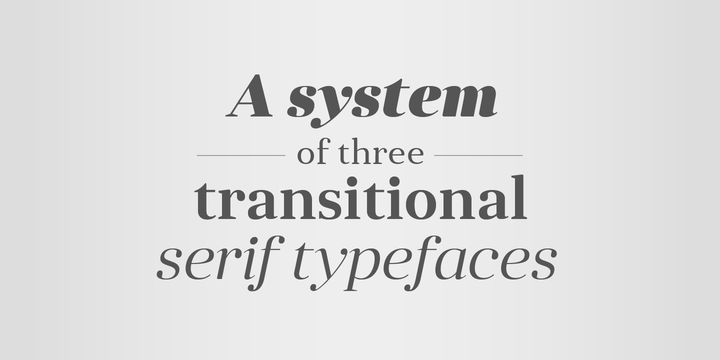 A font description published on Tuesday, April 15th, 2014 in Fonts, Mint Type by Andrei that has 6,711 views.